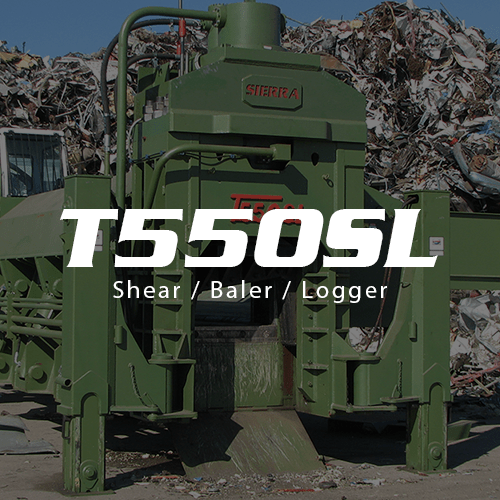 The S5000 baler/logger is the ideal machine for any scrap processor that has a current production of 25 to 50 tons a day and is looking to increase those numbers. 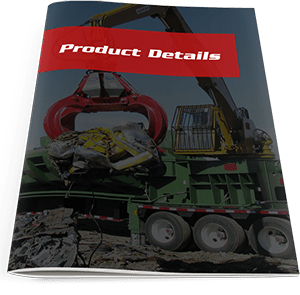 The S5000’s eject door, remote control capabilities (excluding crane), and customary chamber design will ultimately increase your production and profit. 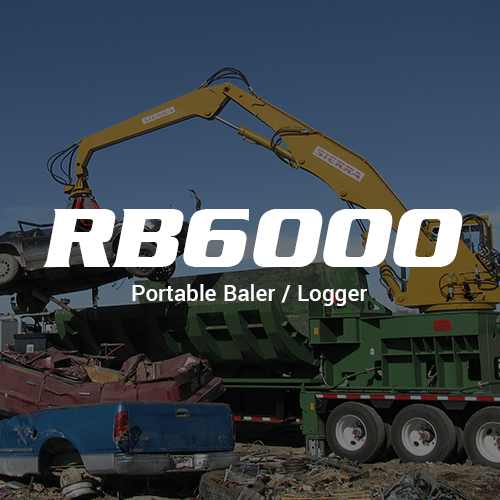 The S5000 portable baler/logger is also the perfect addition to any MRF or Transfer Station. 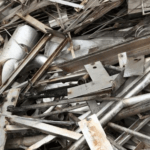 With it’s compact design and production numbers, the S5000 fits perfectly within a MRF or Transfer Station that receives appliances, sheet metal, and tin cans and would like to reduce their freight cost and cut emissions. 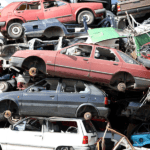 The S5000 makes quick work of appliances, sheet iron, and small to medium sized car shells. 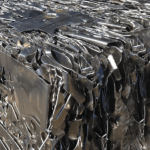 But also has the capability of baling aluminum and stainless steel. 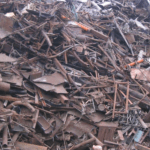 With a pushing force of 140 tons the S5000 does an average production of 50 to 70 tons per day. With an average log and bale size of 32in. X 25in. X Variable. 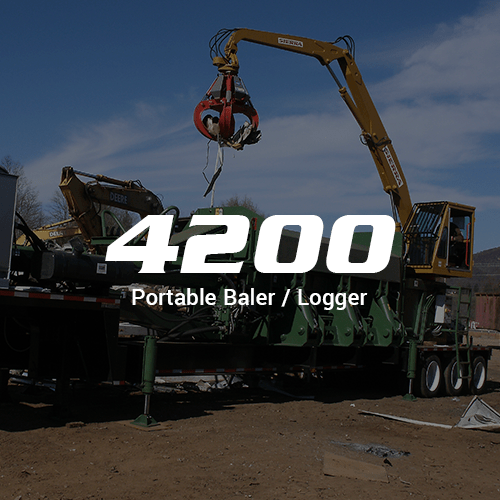 The S5000 portable baler/logger is constructed to last. The S5000 includes Sierra’s innovative L-Box shaped design, 11/16th inch abrasion-resistant steel Hardox 450 liner plates, and outer honeycomb construction creating a greater box integrity that protects your investment. The 16’ 5” long and 32” wide S5000 comes with a Roll Off or Ampliroll system which allows you the versatility to keep this machine stationary or move it when needed. The S5000 also has the option of being trailer mounted, making it easily transportable. Your S5000 can come either diesel, with a Cummins 4 cylinder Turbo Diesel 160 HP engine, or electric, with 75 HP. The crane includes a 22-foot boom reach, 290-degree rotation, and a lifting capacity of 2800 lbs. while fully extended. And comes equipped with an Orange Peel grapple with rotator. 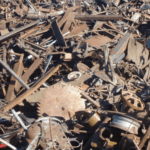 Looking to produce smaller bales? The S5000 has an optional bale size of 24in. x 24in. x Variable.